Enjoy instructor led painting on Pele's patio. Beginners to experienced artists will have fun at this casual event. 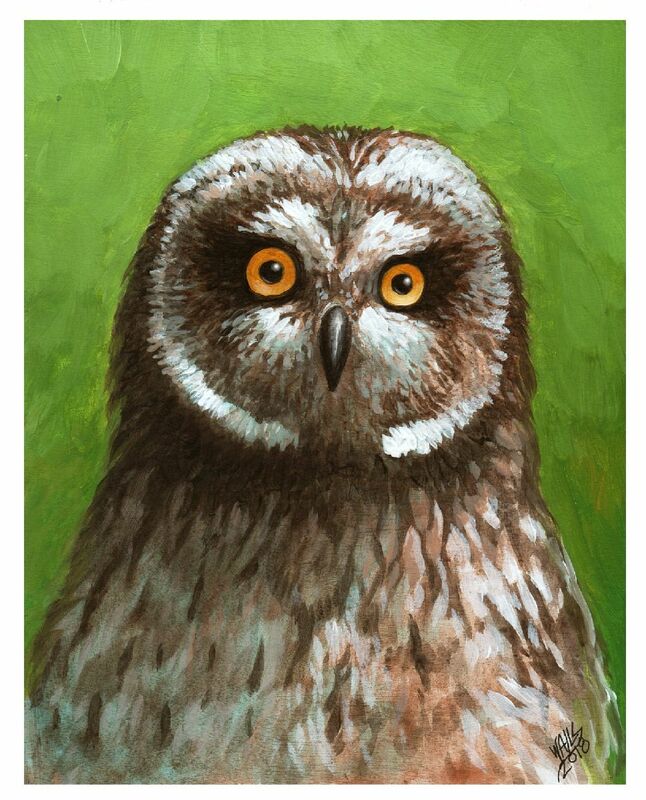 This time you can Paint a Pueo at Pele's. All painting materials are included and pupus will be served to the group. More food and drink items are available off Pele's varied menu. Cocktails are not included - beer, wine and amazing cocktails are available for purchase. We are starting a little earlier this time - 3:30PM. Don't make us cancel! We do need a minimum of 6 participants (max - 12), so sign up soon. Register online or come by the Art Center. LAC members enjoy a 10% event discount. Our previous Painting Parties have been a lot of fun and all artists have gone home with some great self produced pieces of art!